We offer Dehydrated Coriander Leaves Powder which is adding flavor to all types of dishes. It is widely used as a major ingredient the preparation Garam Masala. 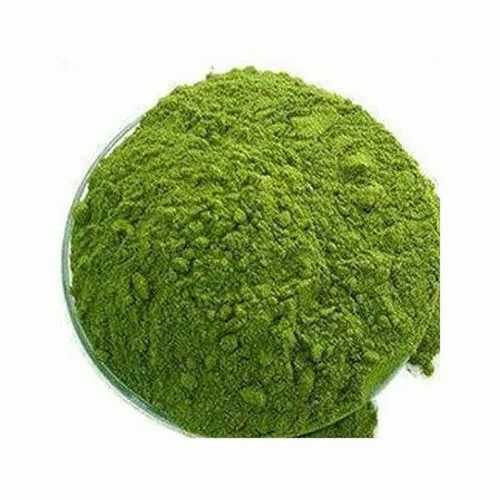 Our company engaged in processing and exporting of dehydrated coriander leaves and coriander leaves powder to different countries. We also produced other vegetables powder which is use in spices and cooking masala. Incorporated in the year 2009-10, in Ahmedabad (Gujarat, India), we “Farmvilla Food Industries Pvt. Ltd.” are engaged in processing, exporting and supplying a wide range of Food Products, Food Ingredients and Additives, Agro Products, Chicory Products and Spices. At our processing unit, the offered range is processed by our food experts using sophisticated techniques in adherence to international quality norms. As per the varied needs of clients, the offered food products are available in several packaging size. Used for preparing different types of food recipes, these products are highly appreciated in food industry for their unique feature such as hygienically packaged, purity, long shelf life and safe to consume. Our transparent dealings, ethical business practices, easy payment option, timely delivery and quality conscious approach have made us the perfect option of our respected clients.